Vårt internationella träningscenter uppgraderat, och är nu ett av de fem bästa i världen! ITTF har beslutat uppgradera vårt internationella träningscenter. Från starten 2011 har vi varit ett Hot Spot Center (nivå 4). Nu har ITTF beslutat flytta upp oss till nivå 2, vilket med ITTFs terminologi innebär att vi hädanefter är ett ”International Training Center” med beteckningen ”High Performance”. Endast två träningscentra i världen är högre rankade, ett i Kina och ett i Österrike. Vi kan vara mycket stolta över det arbete som lett fram till uppgraderingen. Det gäller såväl det som våra tränare utför, som det arbete som sker i bakgrunden med inkvartering, förhandlingar med matställen och all annan service vi ställer upp med. Stort tack och grattis till alla involverade! Nu gäller det att inte slå sig till ro, utan arbeta vidare med utveckling av vårt koncept. Uppgraderingen, där vi faktiskt tog två kliv uppåt, ska nu omsättas i energi att fortsätta på den inslagna vägen. In 2011 our international training center started as an ITTF Hot Spot Center. After 5 years ITTF decided to upgrade the center to the level High Performance. This means that the training center run by Falkenbergs BTK is rated one of the five best in the world! We are very proud that the hard work at the tables as well as the work in the background has proven to be of this high standard. The center is open to players from all over the world. Our trainers/coaches have been very successful in developing young promising players into players of a high international level. 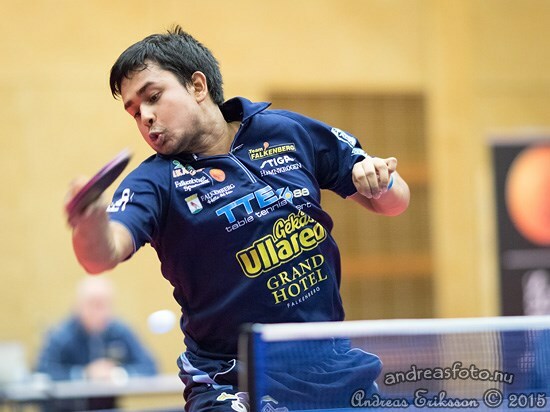 Omar Assar (Egypt) and Soumyajit Ghosh (India) are only two of many players to climb on the world ranking while attending the training center at Falkenbergs BTK. In Falkenberg we want to give young and motivated players from all over the world a chance to practise in a high level environment. Our focus is on giving these young players a complete ”table-tennis education”, which includes technique, tactics, mental fitness and physical fitness. It is very important for us to include the players in the process. We believe that a player with high awareness and ability to take responsibility for herself/himself will be more ready to compete and perform on a high level. – I was nominated by ITTF for the ”Future in Mind Program”. I’m here on an ITTF scholarship. I love training here, the coaches are very professional and I get to train with very good players from around the world. I’ve learned so much these past two months practising here. 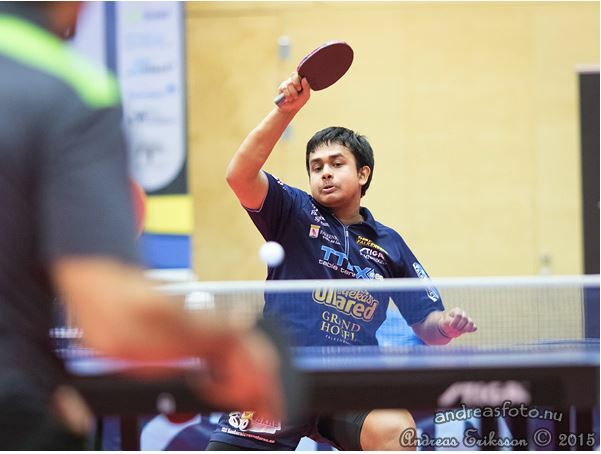 I just want to thank ITTF for giving me this opportunity to improve my skills here in Falkenberg. I would also like to thank Falkenbergs BTK for everything. If you are interested in developing your skills as a table-tennis player, do not hesitate to contact us for further information. You can come to Falkenberg for a short or long stay. You will be well taken care of and you will improve your game. Contact our office during opening hours (Monday – Friday, 8.00-12.00 and 13.00-17.00) by telephone +46346885593. Falkenbergs BTK has at its disposal the venue Falkhallen, located in the town centre of Falkenberg. The practice venue accomodates up to 12 tables. The venue can easily be enlarged (curtain wall) to accomodate up to 30 tables. The floor is a non-slippery sports floor. Light intensity at the table surface is 1,000 Lux. The ceiling height is 9 metres. The venue is equipped with a modern ventilation system. The practice venue with 12 tables. Curtain wall to the left. 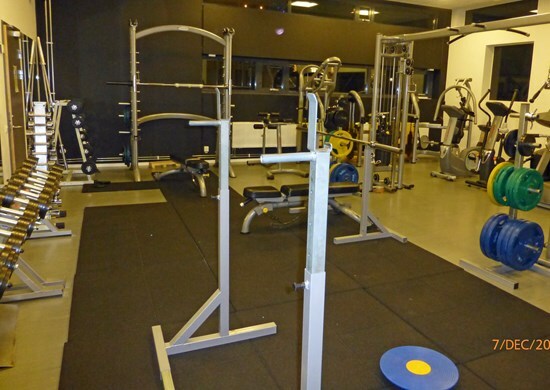 Adjacent to the practice venue there is a gym, fully fitted. The venue was opened in 2010 and has hosted the ITTF World Hopes Challenge (2012), the Swedish Cadet Championships (2014), and the Swedish Championships (2015). 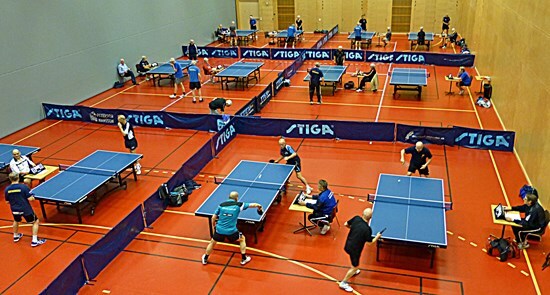 The Falkhallen is recognized as one of the best venues for table tennis in Sweden. The venue is equipped with STIGA tables, nets and balls, all approved by the ITTF. The club has audiovisual equipment. The Falkhallen is situated in the town centre. Falkenberg is a fairly small town with approximately 14,000 inhabitants, so most facilities are quickly and easily accessible. The Falkenberg railway station is located a five-minute-bus-trip from the venue. The bus stop is 200 metres from the venue. There is a direct train service from Falkenberg to Copenhagen Airport Kastrup, CPH, (2 hours and 25 minutes). The train + bus journey to Göteborg Landvetter Airport takes approximately 1 hour and 50 minutes.